Last week, we had the Speedmaster Professional Apollo-Soyuz with meteorite dial, submitted to us by Darren Townend. Darren has submitted this week’s Speedmaster as well: The Speedmaster Professional Apollo 11 40th Anniversary edition in platinum. 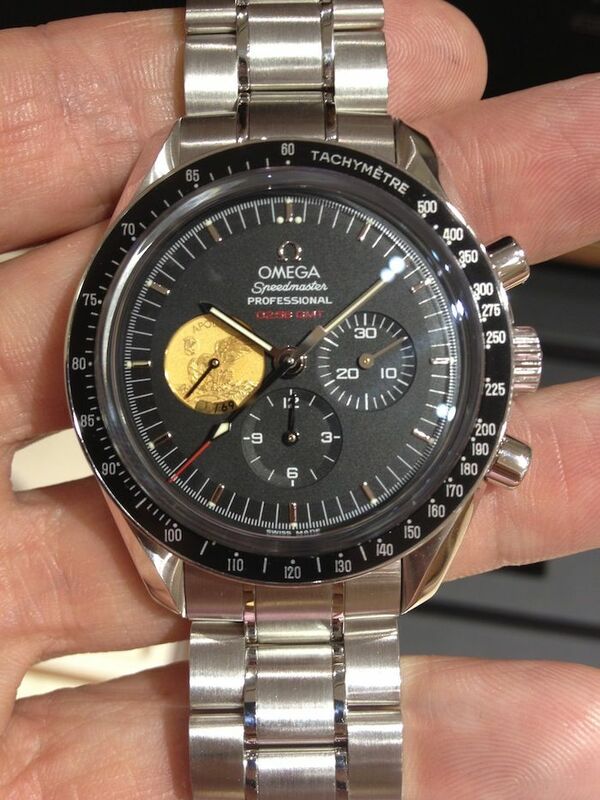 This Speedmaster weighs a whopping 248 grams! Most of the Speedy Pro 40th Anniversary models we get to see is the stainless steel version with the silver medallion on the seconds counter. This limited edition of 69 pieces in platinum looks quite similar, but has a solid gold medallion at 9 o’clock and a wonderfully engraved case back as well. 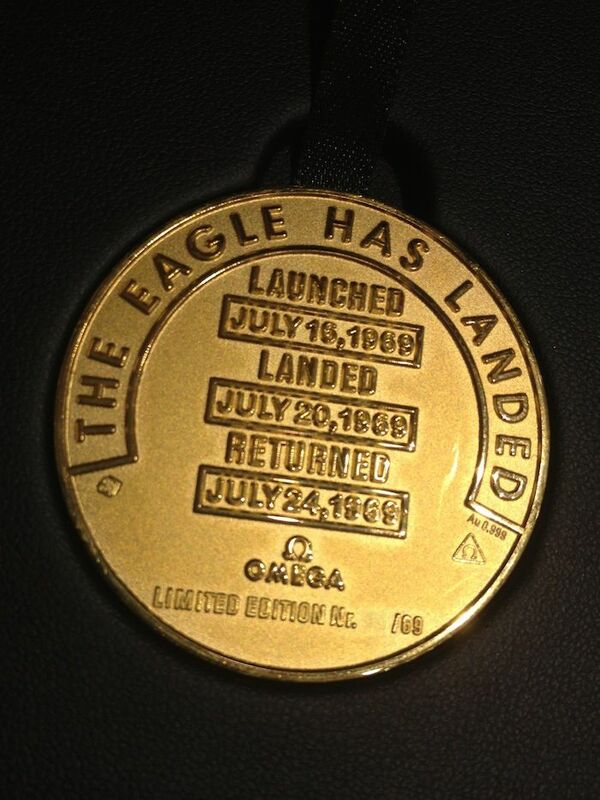 The case back has a gold medallion of ‘the Eagle’ that lands on the Moon. The movement in this Speedmaster Professional is the hand-wound Lemania based 1861 movement. According to our information, it is the normal movement, not a special finished or modified version for the platinum edition. Although there is a solid (gold) case back on this watch, we would have expected the calibre 1863 to be in this watch. The calibre 1863 movement has an optical nicer finish and is used on the Speedmaster Professional models with a transparent caseback. However, in the core these are just the same movements. This version also has an applied Omega logo on the dial as well as a set of white gold hands (instead of the white baton hands) and the chronograph’s second hand has a red tip. These are just a few subtle differences with the standard stainless steel Speedy Pro. The stainless steel 40th Anniversary edition (ref. 311.30.42.30.01.002) also has the red elements on the dial and chronograph second hand. The super cool presentation box of this watch has an incredible (wood) finish with an Apollo 11 badge logo on it. 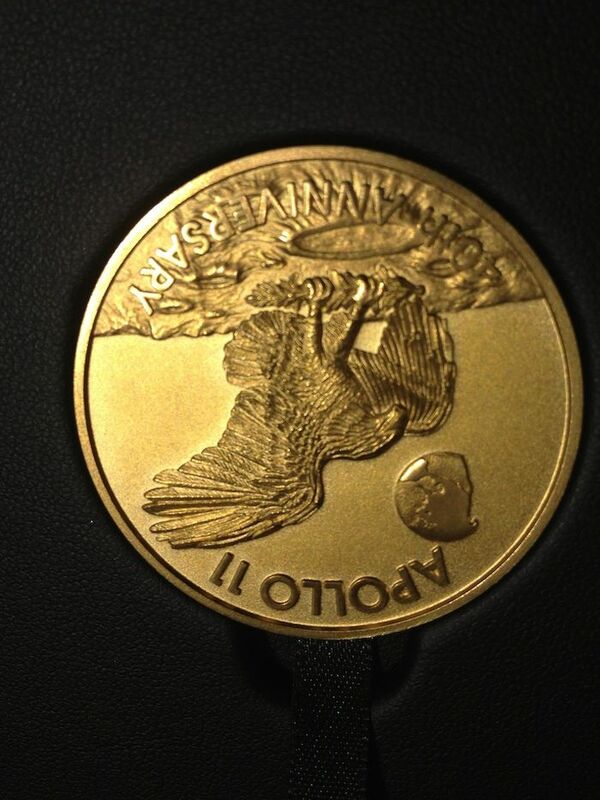 Also, the box contains a gold coin to commemorate the Moon landing of 1969. 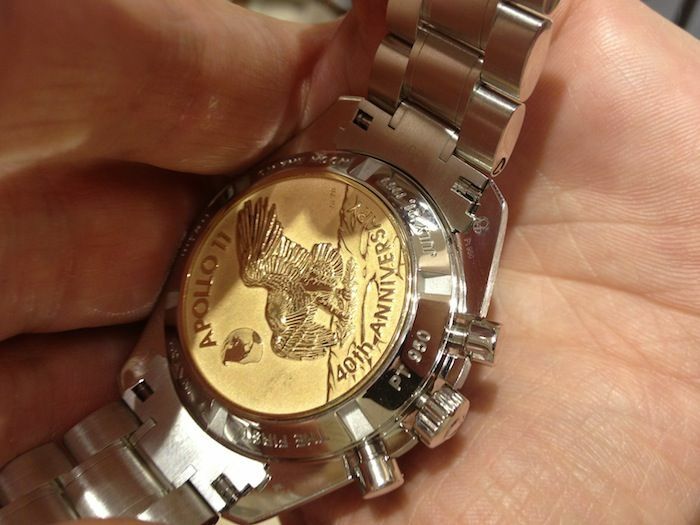 Except for the presentation of this watch during the BaselWorld 2009 exhibition, I haven’t seen this watch so far. Until now that is. Due to the very limited run of only 69 pieces, chances are very small you will see one in the flesh on someone’s wrist. The retail price made it even more ‘tough’ as this watch was originally priced at $135,000.- USD. We did a search on-line and found one for sale for $91.000,- USD. A big thank you to Darren Townend, an OmegaForums.net regular.